It is a great joy to share our knowledge and thereby broaden the horizons of the people who are eager to learn. 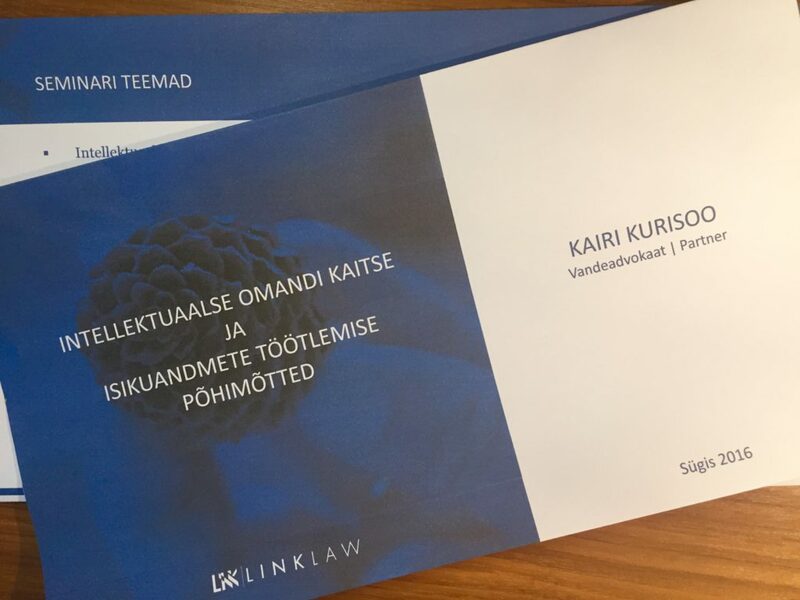 This was the fifth year when LINKLaw partner Kairi Kurisoo carried out a seminar to the PhD students on the topic of “Intellectual property protection and personal data processing principles” at Tallinn University. Kairi talked about the main types of intellectual property and the basic principles of legal protection. A greater emphasis was on copyright – to whom do these rights belong, what is protected and what are the author’s economic rights and personal rights. The seminar also gave an opportunity to put the learned knowledge into use through practical exercises. Also, the requirements for the protection of personal data were discussed. Kairi is a specialist in intellectual property and IT law, she is a member of the Estonian Bar Association Intellectual Property and IT Law Committee and the Estonian National Group of AIPPI (International Association for the Protection of Intellectual Property). LINKLaw lawyers are always happy to share their knowledge. Therefore, if you or your team wishes to learn a bit more about the topic, then contact us and together we will find a suitable form to provide you with the information you are looking for!